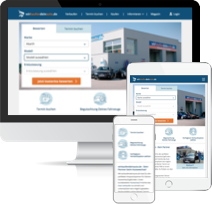 wirkaufendeinauto.de and its sister brands are Europe's leading specialists for the purchase of used cars. 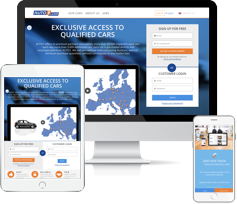 Here we offer our private customers a seamless process of selling their car by providing free valuations online followed by a visit to one of our 400+ evaluation branches. 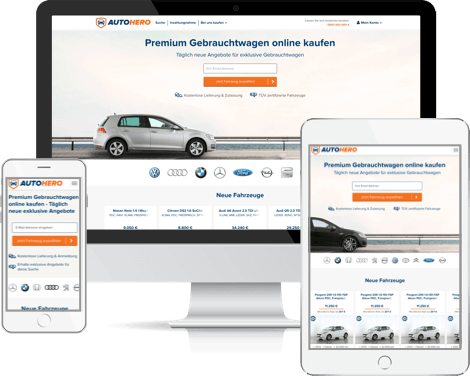 Autohero is an innovative online B2C retail platform for inspected high-quality used cars at best rates. Here we provide access to a daily changing cross-brand inventory and offer private customers the opportunity of a fully digitised purchasing process.